Here it is! 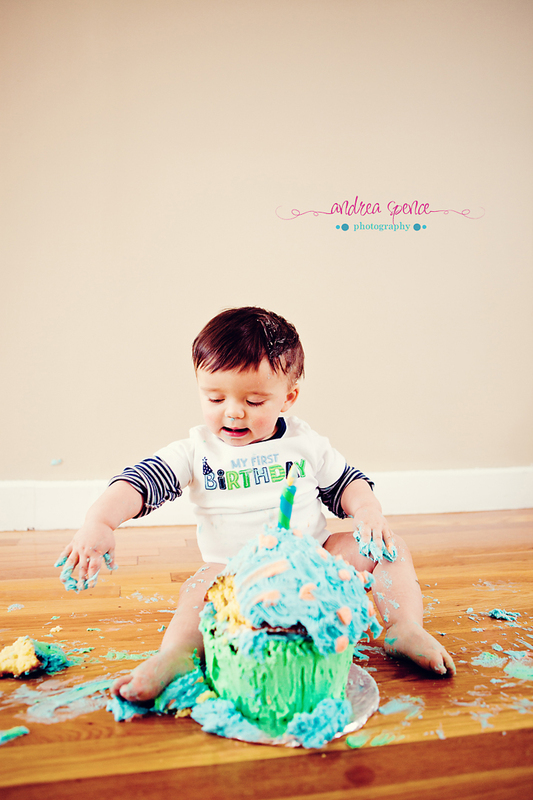 I’ve been so excited to see the pictures that Andrea Spence took of my little man “C” for his first birthday! And once again she did not disappoint! 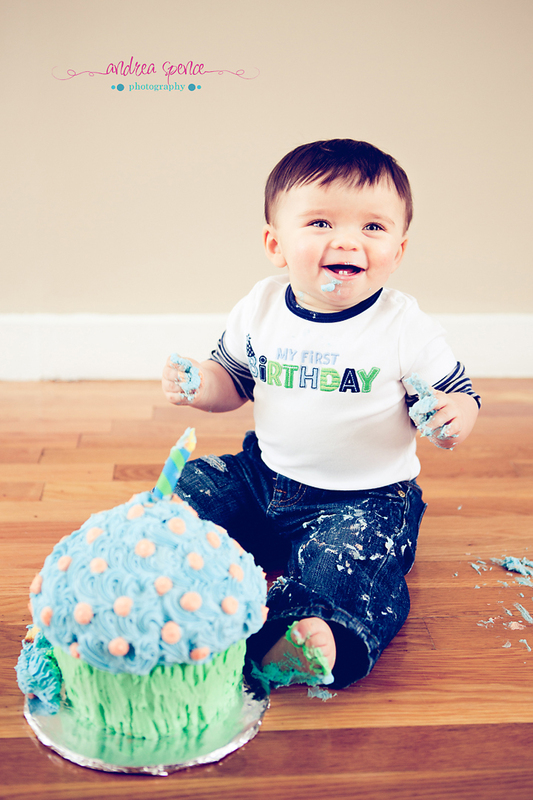 “C” had a blast making a mess and for me the pictures are priceless. This is where my passion for photography stems from. Look at his face, that expression, it is a moment in his life captured perfectly to be cherished. Who cares about the mess? Who cares about his clothes or the floor? That’s not what is important. Life in general can get messy. It’s these moments of happiness that make life worth living. What a great idea Miranda – these are priceless! Love it!